For every working environment applies that safety and health are critical conditions for the employee to do their work. This includes the protection of employees’ hearing that are working with or near heavy machinery. To prevent hearing damage a person should not be exposed to a noise level of 100 decibels for longer than two hours without protection. The exposure limit decreases as the noise level increases. In any workplace, where noise levels depend on location and production processes, it can be difficult to decide whether ear protection is needed or not. Are you aware of the exposure limits and are you sure that the noise in your workplace does not exceeds to limits? 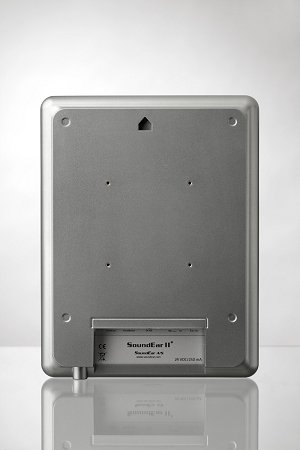 The SoundEar II® Industry takes away this problem and omits a clear visual warning of a red flashing light in those areas where the use of a ear plugs or ear muffs is required. 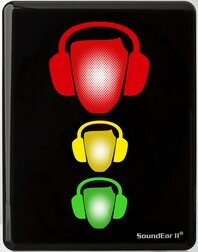 The device is easily mounted onto a wall and the surrounding workers are warned whenever the noise level gets too high. It can be pre-set to sixteen different noise limits ranging from 40 to 115 decibels.